The Airbus A320 - flight 4U 9525 - from Barcelona to Duesseldorf crashed after an eight-minute rapid descent, officials say. There were no survivors. Officials believe 67 of the 144 passengers were German citizens, including 16 pupils returning from an exchange trip. A day of mourning was being held at the Joseph-Koenig-Gymnasium school in Haltern-am-See, north-west Germany, where the pupils were from. More than 40 passengers were believed to be Spanish and UK Foreign Secretary Philip Hammond confirmed that three Britons were on board. The flight was also carrying citizens of Australia, Japan, Colombia, Turkey, Denmark, the Netherlands and Belgium. 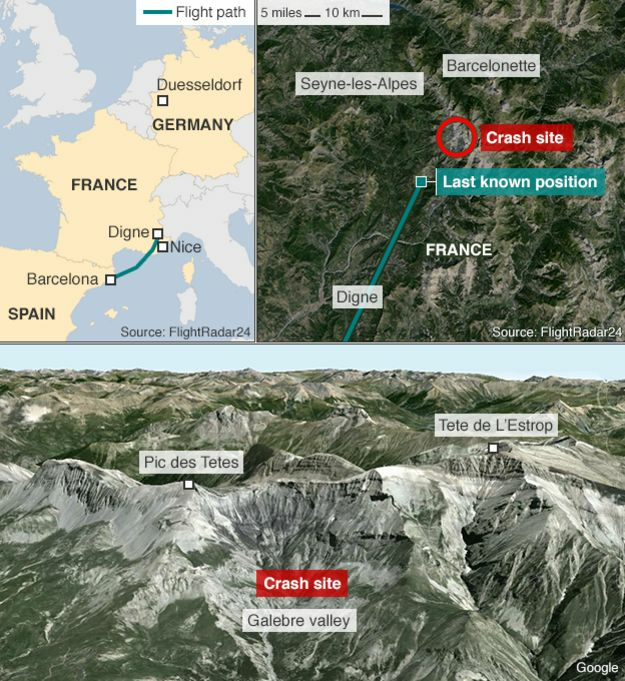 The plane's cockpit voice recorder - recovered by a helicopter team on Tuesday - was damaged but could still provide information, French Interior Minister Bernard Cazeneuve said. Transport Minister Alain Vidalies said if voices had been recorded the investigation would proceed "fairly quickly". 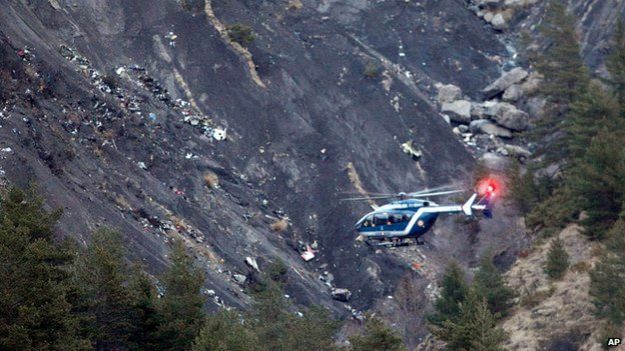 Investigators are still searching for the second "black box" - the flight data recorder.